A land trust for grizzly bears? It might sound like a strange combination, but the truth is this: bears are just the beginning. From wolverines to loons to wildflowers, the whole natural community benefits from grizzly conservation. Why? Meet Ursus arctos, the grizzly bear, the Rocky Mountains’ largest predator and its barometer of healthy and connected landscapes. Wherever they roam, grizzly bears are monarchs on the land. From the Yellowstone high country to the coasts of British Columbia and Alaska—where the species is often called the brown bear—grizzlies cast broad impacts over the plant and animal communities with which they share space. Despite their predatory capability, grizzlies are opportunistic omnivores, not carnivores. In most places, their diet relies significantly on plant foods, as bears dig for roots and browse for berries from spring to fall. Aside from the fish-loving coastal brown bears, the meat grizzlies eat often comes from grubs and moths, or from scavenging animals that died from other causes. When grizzlies kill larger animals for food, they are opportunists, picking off the weakest prey from a group in order to save energy. However a grizzly fills its stomach, the process plays a key role in the balance of a natural area. By digging for roots and insects, a bear freshens soil like a rototiller. Its scavenging and digestion of dead animals returns energy quickly to the ground, fertilizing the soil that grows the plants upon which a place’s food web relies. Meanwhile, the presence of grizzlies keeps deer and elk herds on the move, preventing them from lingering in an area so long that they overgraze its shrubs and grasses. It adds up to a simple biological truth: where grizzly bears walk the land, other plant and animal species are healthier. In scientific terms, this wide-reaching impact makes the grizzly an umbrella species. Biologists estimate that 500 years ago, about 100,000 grizzly bears roamed North America, ranging from the wide Alaskan tundra to the Sierra Madre peaks of Mexico. They caught salmon and steelhead up and down the Pacific Coast and followed waterways through the Rockies and across the Great Plains. At any given time, as much as half of this wide-ranging grizzly population traveled within the current Lower 48 states of the U.S.
By the middle of the 20th century, that number had plummeted to fewer than 700 bears south of Canada. What happened? Understanding the grizzly’s decline in the American West begins with biology. Bears need room to roam. Decades of tracking data reveal that when they can do so safely, an individual bear may traverse a home range as large as 1,500 square miles. It’s not just wanderlust: male grizzlies will cover vast distances each year in search of food, a mate, and a den site. And while females typically have smaller ranges, they still need lots of open land in order to stay healthy. When they first awake from hibernation, bears travel to lower elevations with less snow, filling empty stomachs on the year’s first roots and plant growth and on the remains of animals that didn’t survive the winter. 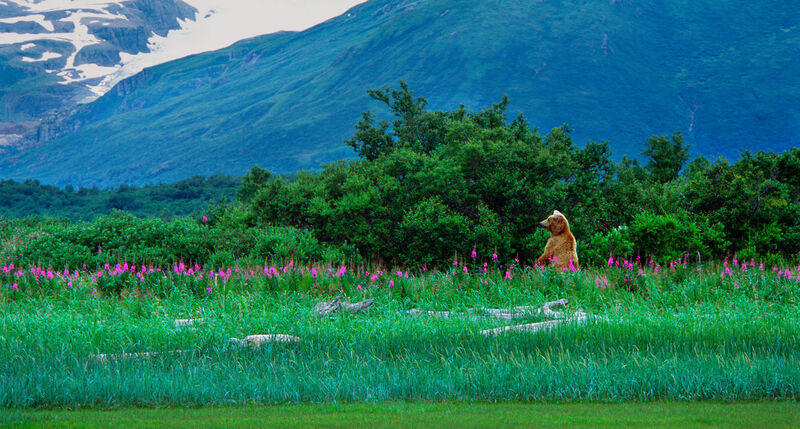 In midsummer, they retreat to the high country, where cooler temperatures offer more comfortable foraging conditions for the thick-furred omnivores. Grizzlies’ need for space fell under fire during the 19th and 20th centuries. As European settlers moved west, building towns and roads and dams across the continent, they fenced in and shot down the grizzly. Bears were hunted widely for their fur, for sport, and for the threat they posed to livestock imported from points east. Those that did survive learned quickly to avoid people, which meant shrinking their territories. Where they once roamed broadly, they now met rifles, traps, trains, and eventually, highways and automobiles. After thousands of years traversing western North America, it took barely 100 to push the species close to extinction within the contiguous U.S.
As the conservation movement gathered steam through the 20th century, however, more and more voices called for balance. In 1975, the U.S. Fish and Wildlife Service listed the grizzly as a threatened species and outlined a plan to help the species recover within its historic range. Grizzly recovery in the Lower 48 remains a work in progress. Thanks to habitat conservation efforts and federal prohibition of grizzly hunting, roughly 1,850 of the bears now live south of Canada. But as the country’s human population continues to rise, development is not slowing down in the West. The result is what biologists call habitat fragmentation. While many more bears live in the U.S. now than 40 years ago, they remain confined to islands of land. 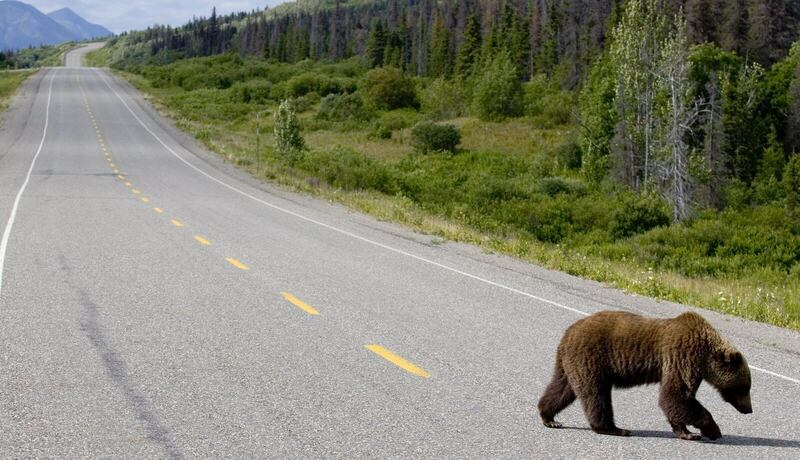 The federal recovery plan outlined six different recovery areas throughout the northwestern U.S., but only two of them—the Greater Yellowstone and Northern Continental Divide ecosystems—currently harbor a large and relatively healthy grizzly population. Anchored by the safe havens of Yellowstone National Park and the Glacier National Park-Bob Marshall Wilderness complex, these two recovery zones still account for nearly all of the Lower 48’s grizzlies. Struggling populations of fewer than 50 bears live just south of the Canadian border in northwest Montana’s Cabinet-Yaak Ecosystem and north Idaho’s Selkirk Ecosystem, but without large undeveloped blocks of habitat these bears face an uphill fight for survival. That’s where Vital Ground enters the picture. If we are to begin returning the region’s grizzly population to health outside of its two park sanctuaries, we can’t rely on federal and state governments to protect new habitat. We must commit to protecting enough chunks of private land from development that we form a patchwork of bridges and corridors, landscape connections that link the existing cores of grizzly habitat. And within the communities of grizzly country, we must build what we call social habitat, a recognition that everyone can benefit when we look out for grizzlies and do all we can to prevent conflicts between bears and humans. In short, we must pinpoint the right places for grizzly conservation—both on the land and in the community—and then we must get to work. See how you can help.